Music is a way of life for Tom Bachmann, a drummer originally from Zollikon, Switzerland. It is a passion that has gripped his heart, pumping rhythms through his veins. This life-long love affair eventually led him to the Amsterdam music scene, via Germany and England. Tom’s life is like a complex symphony, with different movements, themes, and tempos. He began his professional education at a young age, studying classical percussion at the youth music school of Zürich and the Zürich Conservatory, but it wasn’t until years later that he discovered modern pop. He joined the famous band, Time Bandits, in the ‘80s and went on tour, ultimately earning a Gold Record. After changing directions a couple of times, at one point for instance working as a studio musician, he now manages his own studio in Amsterdam. But this musician is also part of another industry, the restaurant business. He co-owns Café Bern on the Nieuwmarkt, which Tom opened in 1978 with his uncle Helmut, a nuclear physicist turned restaurateur, and Alexandra, his uncle’s girlfriend. 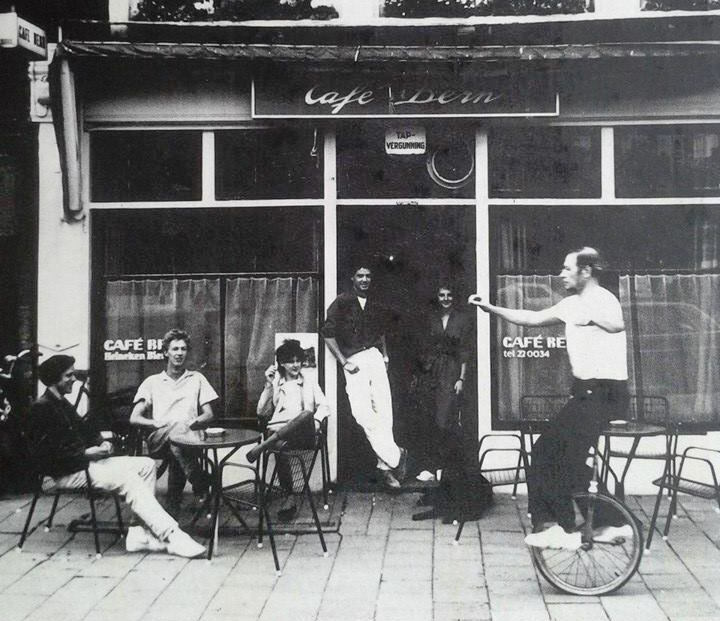 The restaurant, in existence now for 38 years, is an Amsterdam favorite.